I realized long ago that the only thing that is certain is our last breath and all else is a gift. 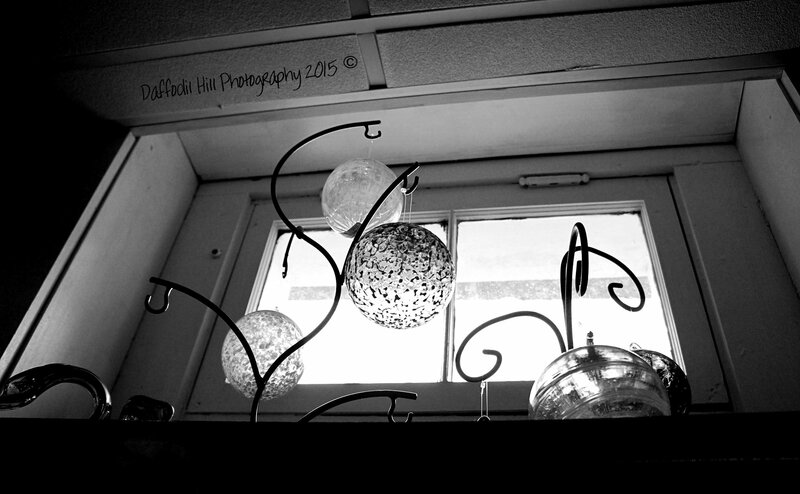 In that mind-set I present my take on Paula’s Black & White Sunday: Windows. Technically it is not a window but the glass of a showcase can give you a window view of things of beauty. 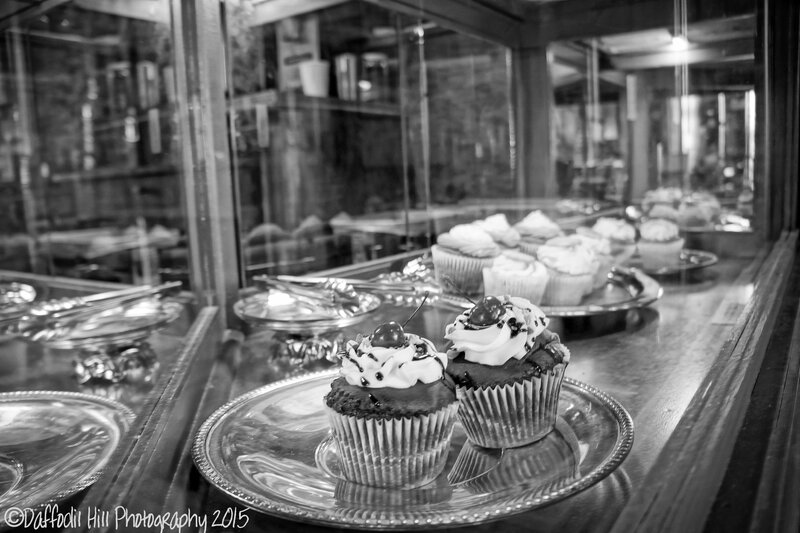 Yes cupcakes to me are a thing of beauty and well they are quite tasty! The written word can be a window into the soul. 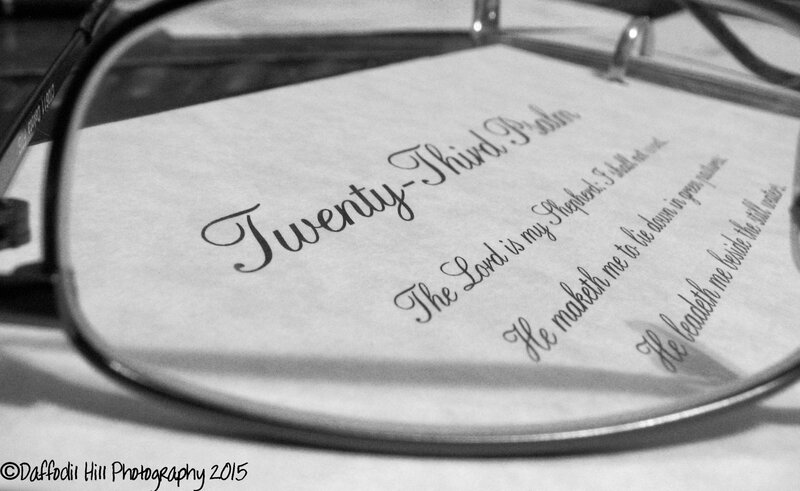 This is a photo I took of the words of Psalm 23 from my Pop’s Life book from his Memorial. I am delighted 🙂 Thank you kindly John for these contributions ranging from original to delicious and inspiring.